The Ameswell Hotel will feature local design with a strong emphasis on art and technology. 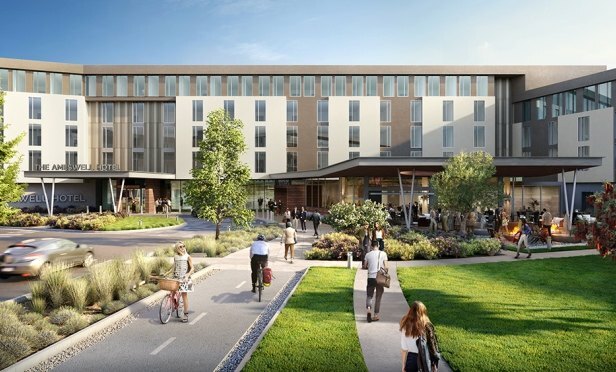 MOUNTAIN VIEW, CA—The US lodging industry will enjoy continued growth in all major metrics in 2018, at a faster pace than originally forecast, GlobeSt.com learns. RevPAR for US hotels is expected to continue growing through 2018 into next year, leading STR and CBRE Hotels’ Americas Research to revise 2018 forecasts upward. CBRE increased its RevPAR forecast for the year from 2.5% to 2.8%, and STR’s RevPAR forecast rose from a 2.2% increase to an expected 2.7% increase.